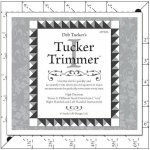 Tucker Trimmer 3 from Deb Tucker's Studio 180 Design is a must-have tool for making almost any block that uses triangles, including half-square triangles, quarter-square triangles, and combinations of half- and quarter-square triangles. 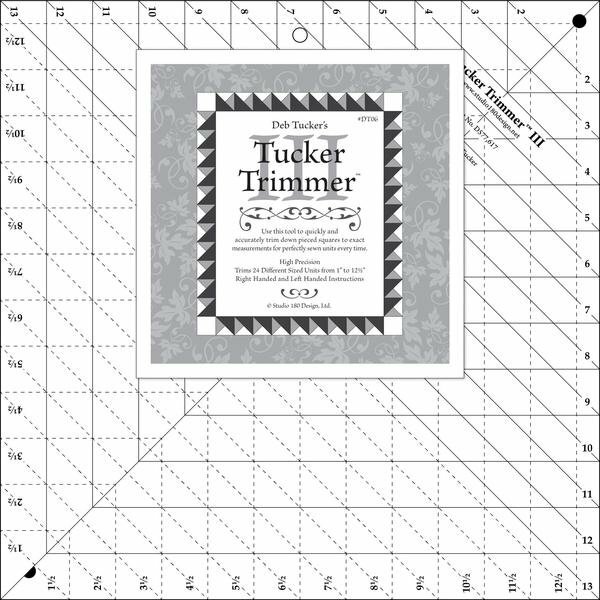 This tool helps quilters make trimming down units quick, easy, and precise each time. While it is great as a finishing tool, it also is multi-purpose, and so handy! The clearly marked lines help quilters align the trimmer with seam lines and trim quickly and confidently. 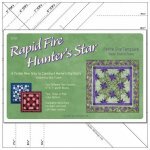 The instructions include: step-by-step illustrated instruction for make half-triangle, quarter-triangle, and combination-triangle units in 24 size options ranging from 1" (finished") to 12-1/2" (finished); easy-to-follow conversion charts for use with other designers' pattern; free block pattern; and instructions and illustrations specifically for left-handed quilters! Features all the options available on the original Tucker Trimmer 1, but with larger sizes for greater versatility! Great as an all-purpose block trimmer! This is not one of those "use it once" tools! 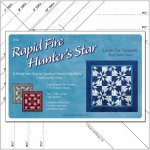 There are numerous patterns designed by Deb Tucker that use this great tool! 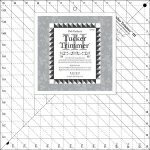 Ruler size: 13” x 13"
Need help using this tool? Deb Tucker has a wide range of helpful instructional videos online. Not exactly what you need? 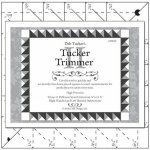 The Tucker Trimmer is available in other sizes, and there is a range of other products on our website from Deb Tucker's Studio 180 Design and other companies, too!